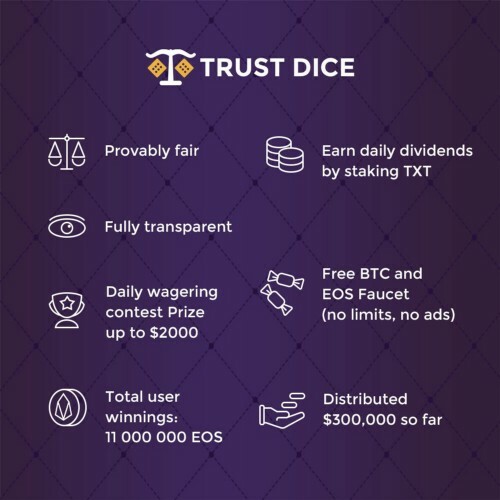 Trust Dice is the first EOS-based game supported by EON Protocol (EOT), everything occurring inside the game is completely public. Adding custom seeds and auto mode upgrades the experience of the players and the efficiency of awards. Trust Dice is a provably-fair dice game by using smart contract. Each dice roll is provably random and cryptographically secure thanks to the nature of the blockchain. Trust Dice set up Jackpot, you will Win when your Jackpot roll result is 666. Stake TXT and get BTC daily payout! Trust Dice is very glad to announce — BTC Daily Payout! 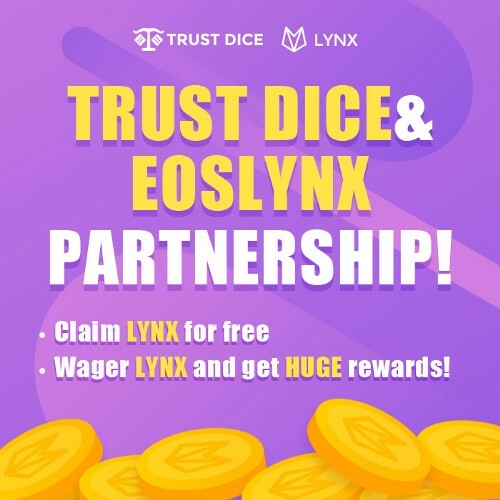 Trust Dice is happy to announce partnership with EOS Lynx, the first mobile wallet on EOS ecosystem. 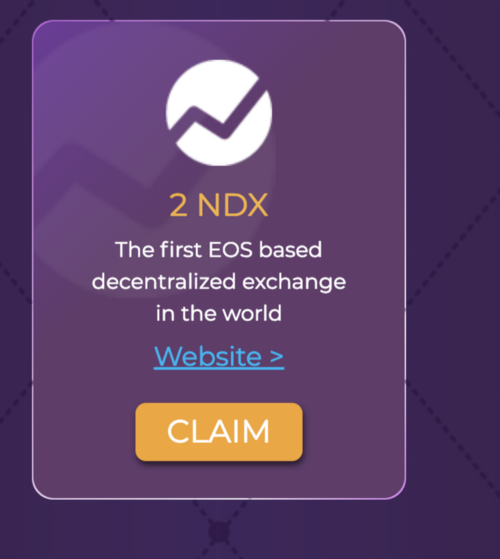 Trust team is very excited to announce: everyone can claim FREE BITCOIN in Coinbox now!